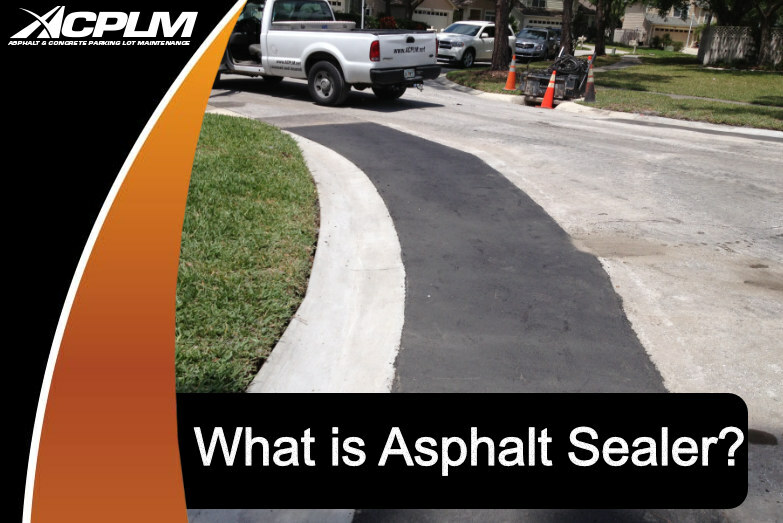 Some people have heard of asphalt sealer, yet many do not know what it is. If you are not exactly sure what asphalt sealer is, you have come to the right place. Asphalt sealer protects the surface from gradual wear and tear, damage from the sun’s powerful UV rays, harsh rain, and other threats. As time progresses, these elements gradually deteriorate the surface of your property. If your asphalt is not sealed, it will eventually break down to the point that a major repair or even a full replacement is necessary. When Should Asphalt Sealer be Applied? In general, experts recommend that an asphalt sealer is applied at least once every few of years. Aside from protecting your Tampa Bay property, asphalt sealer will also enhance its visual appeal. Though some asphalt sealers are marketed to the general public, attempting to apply them to your property will prove troublesome. Asphalt sealer must be properly prepped before being applied. Rely on professionals to ensure your asphalt sealer is properly applied, keeping your Tampa property in pristine condition. Certain asphalt sealers can be applied directly to the property while others require special handling, thinning and/or curing prior to application. A single mistake has the potential to sabotage the entire application. Do not take the risk! Let the Tampa professionals handle it. Asphalt emulsion sealer is an environmentally-friendly means of guarding your property. Based on asphalt, this sealant smells better than alternatives, preserves air quality, guards against oxidization, and does not prompt any sort of skin irritation. Coal tar is very popular because it isn’t impacted by the weather. This water-based sealant uses coal tar, polymers, and additives. It provides a shiny finish that lasts longer than most property owners would expect. If your parking lot receives ample traffic, this sealant is definitely worth considering. It curates in under an hour because of its geo-textile fibers. Your asphalt will be sealed and protected in a flash! If you are considering asphalt sealer for your property, reach out to our team to get the job done right. Contact us by dialing 888-959-9637. Or, fill out our convenient online contact form.